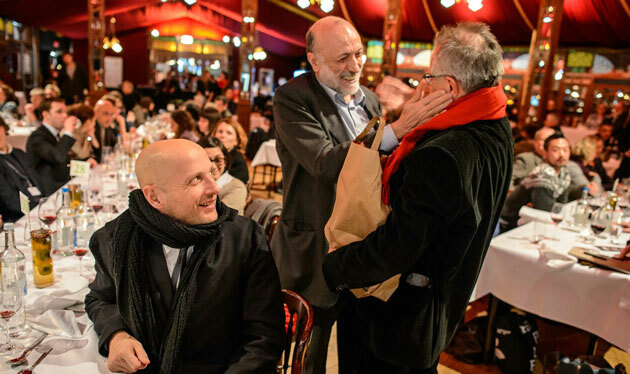 In 1986 Carlo Petrini, dispirited by the rapid rise of global fast food chains and the homogenizing effects of corporate restaurant cuisine, launched Slow Food, an international anti-fast-food resistance movement to preserve traditional and regional cuisine and encourages farming of plants, seeds and livestock characteristic of the local ecosystem. An ebullient presence and longtime political gadfly in Italy, Carlin, as he is affectionately known around the globe, has become an ambassador for bringing a deeper consciousness to the way we eat. Launched from his tiny hometown of Bra Italy (27,000 inhabitants) the Slow Food movement has grown to become a global life-style and political phenomenon that boasts a network of over 170 chapters in 150 countries. A joyous romp of a film, filled with all manner of delectable scenes of food, drink and song, Slow Food amply demonstrates that adventure is best served in heaping helpings.